Hotels all over the world compete with each other on design and prestige. 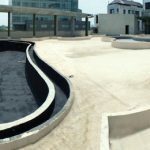 Such prestige is offered by a decorational artificial pond by the hotel entrance. 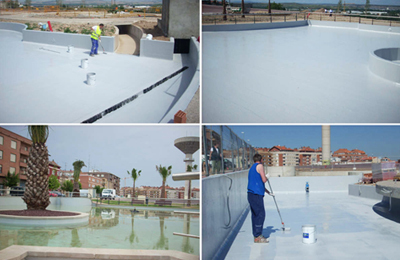 This demanding waterproofing job was asked to be performed by our MARISEAL SYSTEM. 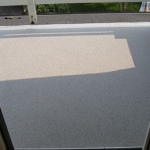 More specifically the products used for this job was the MARISEAL 750 primer and the two component Polyurethane Waterproofing coating MARISEAL 300. 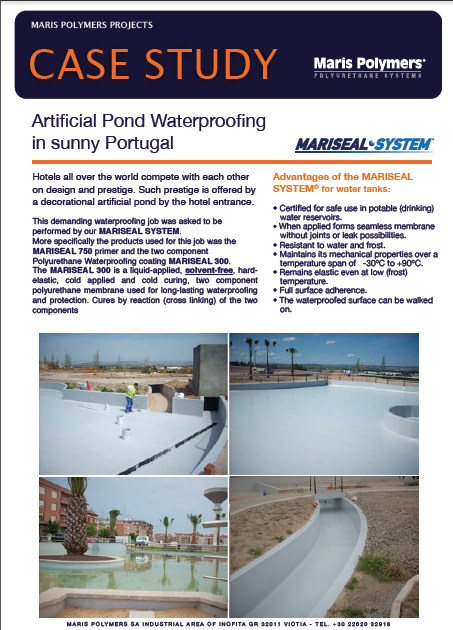 The MARISEAL 300 is a liquid-applied, solvent-free, hardelastic, cold applied and cold curing, two component polyurethane membrane used for long-lasting waterproofing and protection.